In an earlier post we explained how to remove DRM from Amazon Kindle Fire Books and it was possible. 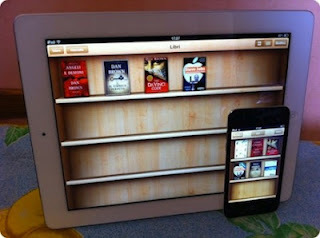 So what about to bypass Apple DRM Protection to make Apple ePub eBooks or iTunes Music & Videos work on other platforms? Requiem 4.1 is the latest version to remove DRM from iTunes (Music & Videos) and it can even work on content that has HD quality of 1080p. But, Requiem 3.3.6 is the only tool to remove DRM from iBooks (Apple e-Books). If you have any question or concerns about whether is it legal or not you are welcome to see our DRM-Removal Policy. Anyway, if you wish to start by downloading Requiem right now, go ahead and scroll down directly to the download section at the end of this article. What is Requiem (Free DRM Removal) Method? This method uses Requiem (FairPlay) for DRM Removal which is compatible with Mac & Windows and able to remove the protection on media content (Music and Movies) taken from iTunes, and the protection on iBooks as well. so, you can convert Apple e-Books to any other format! Warning: Removing DRM only for self-use, don't send the eBook to anybody else. The purpose of removing DRM is to be able to read your purchased eBook and the (Music or Video) you like on any other device. Credits: Article, Tips and Download links are done by me but originally Requiem was codded by (Brahms) and it is an open source software that you can also find it on Requiem Official Site. First of all, you have to know that Requiem isn't compatible with iTunes 11, because Apple has patched it. So, if you really want to strip DRM successfully, then you would have to downgrade your iTunes. Set-up the necessary version of iTunes. What you are going to do exactly is to decide whether to downgrade or else to upgrade your version of iTunes regarding to the two options expressed below. In this case, you choose to decrypt (Music or Movies) which requires the combo of Requiem (Version 4.1) and to install whether iTunes (Version 10.6.x) or (Version 10.7). In this other case, you choose to decrypt (Apple e-Books) which requires the combo of Requiem (Version 3.3.6) and to install iTunes (Version 10.5.3). Before you continue reading, please make your mind about what version of Requiem and iTunes you are going to use. Download Latest Requiem : Keeping track of Requiem version is necessary and the Download Link is below. Because Apple is continually updating the DRM method on iTunes content. Synchronize and Authorize : To decrypt purchased iBooks, you will need to sync them through iTunes to an iPhone or iPad to retrieve a valid key and to authorize your system to use the content of iTunes or iBooks. Run Requiem : it will scan your iTunes Library and remove the DRM of iTunes content automatically. Note: If you are a Windows user, install a 32-bit Java environment at first regardless of your system being 64-bit. How to Troubleshoot Requiem Errors? If you are encountering an error like "Key not found. can iTunes play this file?" or "Key not found. can you read this book?" Try removing your (Book or Media) from iTunes, syncing your iPhone, adding them back into itunes, then syncing your iPhone again. Deauthorize system and delete all files in the iTunes directory (SC Info) "/Users/Shared/SC Info/SC Info.sidb" then Reauthorize the system and re-download (Books or Media), Run requiem again. In case you're using 64-bit windows and installed Java 64-bit, uninstall Java and then re-install it, but make sure you get the 32-bit version (even if your system is 64-bit). If you are encountering an error message like "You need to use iTunes 10.6.3 or later." while you are trying to use the combo of Requiem (Version 3.3.6) and iTunes (Version 10.5.3) for Apple iBooks DRM Removal. The only way to escape this problem is by using an iPhone, iPad or iPod with (iOS 5.1.1) or earlier to synchronize your desired eBooks and retrieve valid keys. Apparently, it seems iTunes 10.5.3 actually cannot get this work done on an iDevice with (iOS 6) or later. Where to find iTunes 10.5.3 or 10.6.3 Download Links? If you have any problem getting it from download links above then it would not be hard to do a Google Search. Note: Please make sure that you install the proper version of iTunes for your situation which is either (Media - iTunes 10.6.3) or (eBooks - iTunes 10.5.3) for successful DRM Removal. We are offering Download Links for latest version of Requiem uploaded on many servers inside our download section page, you just click the download button below to grab your links.